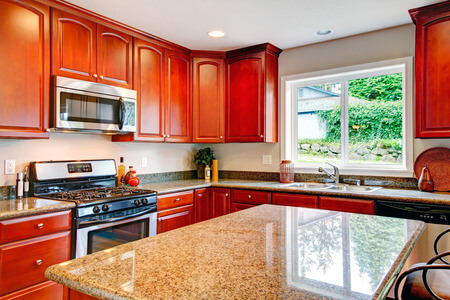 Increase your homes value with Granite Counter Tops from Extreme Granite and Marble. 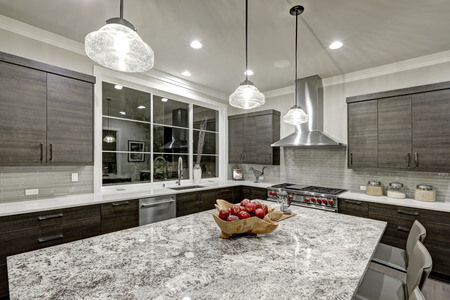 Choosing new granite from Extreme Granite is a seamless experience. 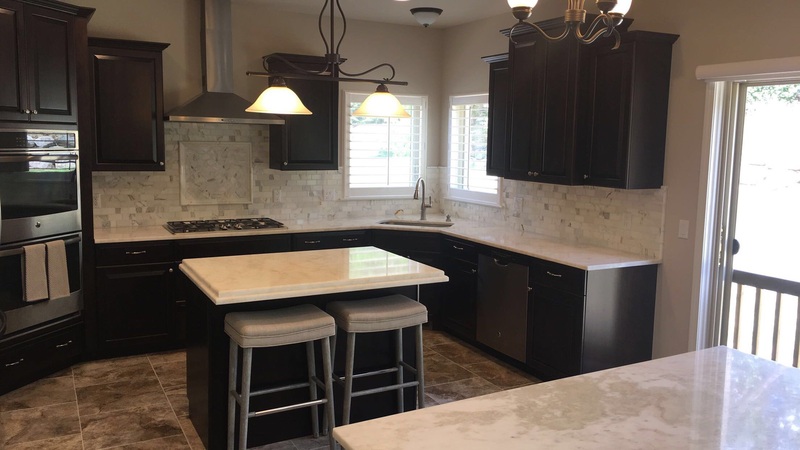 Whether you planning an entire kitchen remodel or just replacing your old kitchen countertops, granite is one of the best stone materials choices you can make. And allowing Extreme Granite to supply, fabricate, and install that granite is the very best choice you can make. Extreme Granite does it all. 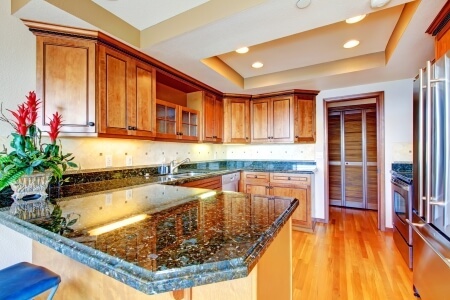 Granite is an extremely hard material that will not blister, scratch or crack. Granite is available in hundreds of colors, from various shades of white to browns, reds, greens, blues, and black. The most popular tones are brown and beige. As well as being hard kitchen granite countertops can take hot items, like pots and pans, and is very stain resistant to hot grease and oil when it is sealed. 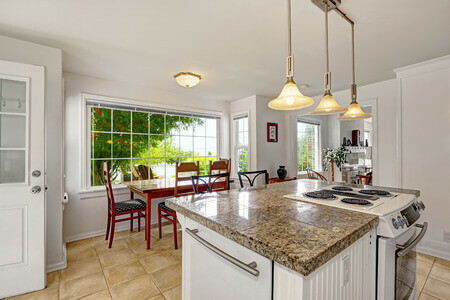 Kitchen granite countertops increase your home’s value. Any homeowner appreciates that benefit. You can relax and rely on our state-of-the-art facility with the latest tools and technology to fabricate your granite slabs to perfection. Furthermore, you can breathe easy as the professionals at Extreme Granite install your new granite kitchen countertops. You’ll relax knowing that your install was done expertly. Then you’ll be happy to just sit back and enjoy your new updated kitchen. The kitchen is the hub of the home. Everyone gathers in the kitchen all the time. It’s where children tend to do their homework while mom or dad is preparing a meal or washing dishes or whatever. The kitchen’s atmosphere is usually warm and cozy and very often relaxing. It’s also where a lot of activity goes on when holiday meals, birthday parties, and special dinners are being prepared. You want your kitchen to always look beautiful and you want it to function for your family’s needs. Granite is the choice for you. 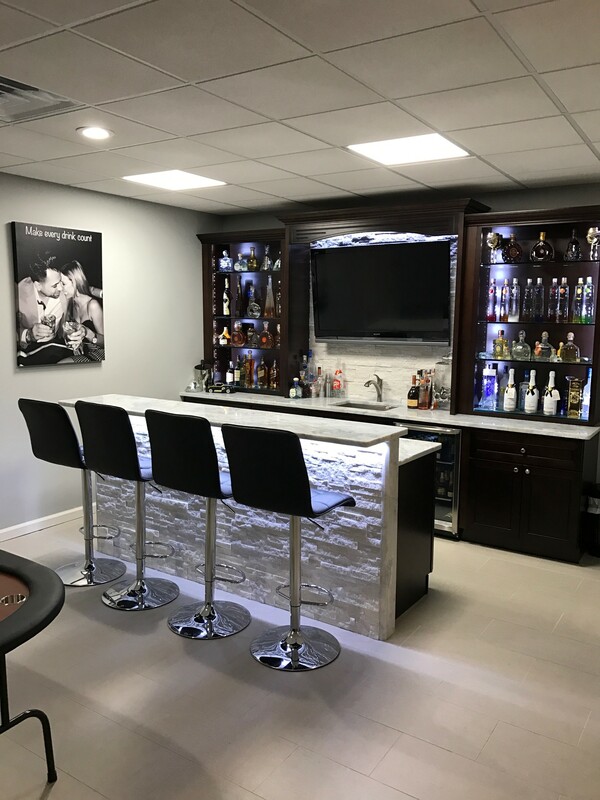 When you visit our showroom in Troy, you’ll be able to browse quality imported granite products from Italy, Brazil, India and other countries and you’ll enjoy knowing that the best product is gracing your home’s interior. We are very confident that you will be sure to find exactly what you’re searching for with the hundreds of selections in our facility. But in the event you can’t find it, we’ll do our best to get it. So, come on in and take advantage of our relationships with distributors all over the country, guaranteeing you get exactly what you want every time. So, you see that your experience, when you visit our showroom, is made simple from the start. All you have to do is browse and choose the perfect product and we will do the rest. If deciding seems impossible because of all the choices you have, and if you are having trouble choosing, you can utilize our design services. We have a very talented staff of designers who are ready and eager to assist you. 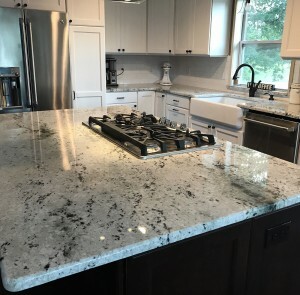 From beginning ideas to the final product, we’ll dress up your kitchen space with quality granite that the entire family can enjoy. So call us or visit our Troy showroom. You’ll be so glad that you did. At Extreme Granite we do it all.